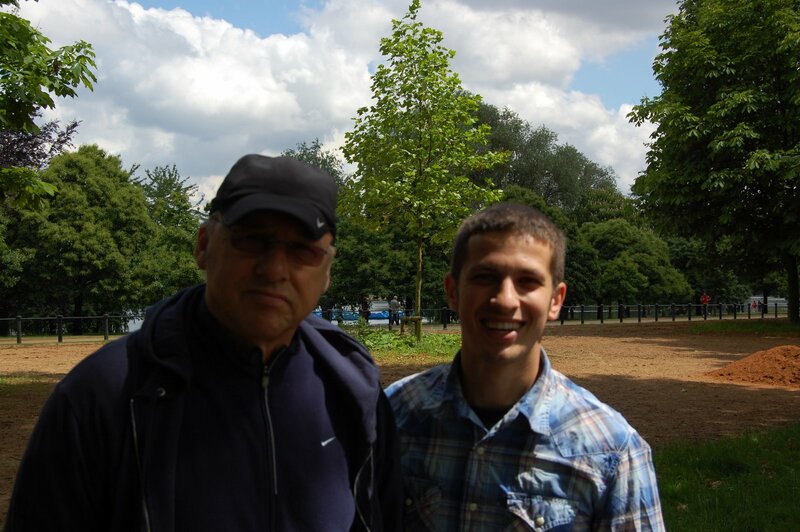 My husband was playing Mark Knopfler songs on the guitar today and I suddenly remembered the time we ran into him in London. It was one of those experiences where you think back asking, did that really happen? We traveled to the U.K. in 2009 for a grand tour that started in London went all the way up to Isle of Skye through Cambridge, York, Whitby, Newcastle, and Edinburgh, and ended in the Cotswolds paradise of Woodstock (which we are always reminded of when watching Downton Abbey). So, yes, we met Mark Knopfler. The one we had seen in concert several times in the states because my husband has been a huge fan of his since always, from Dire Straits to his new(ish) solo work. Parched, we pulled off the bike path to buy some juice when Bogdan matter of factly points to a man walking nearby and tells me, “that’s Mark Knopfler.” Skeptical, I say, “well then go meet him.” Bogdan hesitates, looks around, shifts from side to side. I repeat, “catch up with him and meet him.” So he gets on his bike, rides past “Mark”—I still being skeptical because Bogdan’s main ‘goal’ in London was to meet either Mark Knopfler or David Gilmour (Pink Floyd), highly unlikely!—and Bogdan sat on a bench waiting for him to approach the spot. Dumbstruck, we both stand there watching Mark Knopfler walk down the path, wearing sweat pants, and enjoying a mid-Sunday-morning stroll through Hyde Park. That’s a lovely story. He’s such a gent. I am a big fan of Mark Knopfler, been to one of his concerts from his Privateering Tour, It was perfect. Wish I could meet him someday. He really was so kind. Definitely didn’t act like a snooty celebrity. Hope you bump into him some day too!